If you have been injured in a car accident, it is important that you get medical care right away. Once your injuries have been treated, the next step is to submit a claim for vehicle damage and medical expenses through your car insurance carrier. Although you’ve paid into your car insurance faithfully, their goal is to now find a reason to deny your claim. Here’s what to do if your insurance claim has been denied after a car accident. When your insurance company sends you a letter of denial, the first thing you need to do is to review your policy documents in detail to determine what is covered and what is not covered. 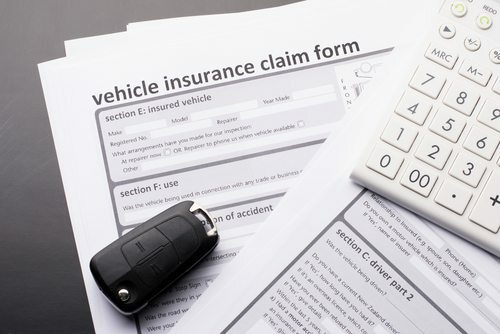 If your policy clearly states that your vehicle damage and/or medical expenses will be covered under the policy, you will need to file an appeal. In some cases, your policy documents may not clearly explain what is and isn’t covered. Regardless, it is always a good option to file an appeal in the hopes that a re-review of your claim will cause their initial decision to be overturned. It is possible to appeal an insurance denial. The denial letter your insurance company sends you should contain instructions on how to appeal the decision. You may need to gather some additional documentation to send in with the appeal; make sure to send copies of the documents and keep the originals for yourself. Although you may be able to appeal your case successfully without the assistance of an attorney, it may be in your best interest to reach out to an experienced lawyer for insurance claims litigation before you start the appeals process. At the Slonaker Law Firm, we understand it is frustrating to have your insurance claim denied. We have assisted dozens of clients in successfully appealing their insurance denial and getting the coverage they need, and we can apply our skills and expertise to your case. We will fully review your policy as well as the facts surrounding the car accident itself. We will utilize a variety of strategies aimed at getting your denial overturned, and if need be, we will pursue litigation. As seasoned Florida personal injury lawyers with specific experience in insurance claim denial and litigation, we can provide you with the skills that will give your case a strong legal edge. Contact us today to schedule an appointment to discuss your case in detail and to learn more about your rights after an auto accident and an insurance claim denial. Call now at 352-629-6656 or toll free at 888-629-6656. We are standing by and are ready to assist you!